David Kuykendall - EnviroCert International, Inc.
David Kuykendall earned a Bachelor of Science in Agriculture and Extension Education from the University of Maryland in 1980 and worked as a Soil Conservation Technician with the USDA/NRCS in Harford County, Maryland from 1980 through 1986. He worked as a Soil Conservation Technician and was promoted to Soil Conservationist for the USDA/NRCS Prince George’s County, Maryland from 1986 through 1989. Beginning in 1989 and continuing through 1995, he was the Conservation Engineer for Prince George’s Soil Conservation District, Maryland. Since 1995, he has been a Senior Permitting Services Specialist with the Department of Permitting Services, Montgomery County Government, Maryland. Mr. Kuykendall has been involved with various committees over the years. He sat on a national committee to formulate the first manual for CESSWI and served on the CESSWI Board for two terms. He also served on a Maryland Department of the Environment committee to revise the 2011 Standards and Specifications for Soil Erosion and Sediment Control and sat on a Development Review Committee with the Maryland National Capital Park and Planning Commission to provide comments on new and revised developments with emphasis about stormwater management. 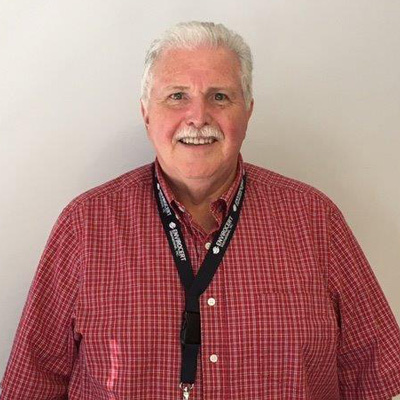 Mr. Kuykendall holds certifications in CPESC (#2458), CPSWQ (#53), and CESSWI (#2) and currently serves as the Regional Coordinator for Region 3 of the State Committee for ECI.